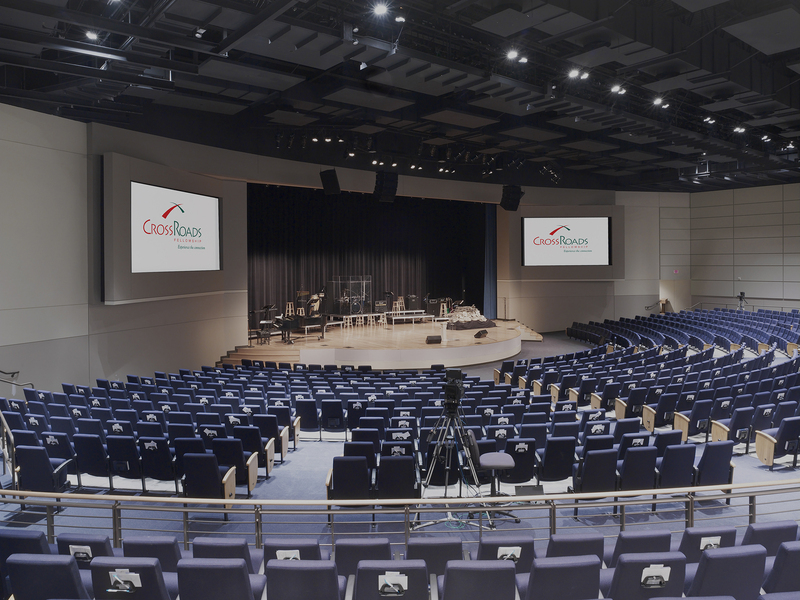 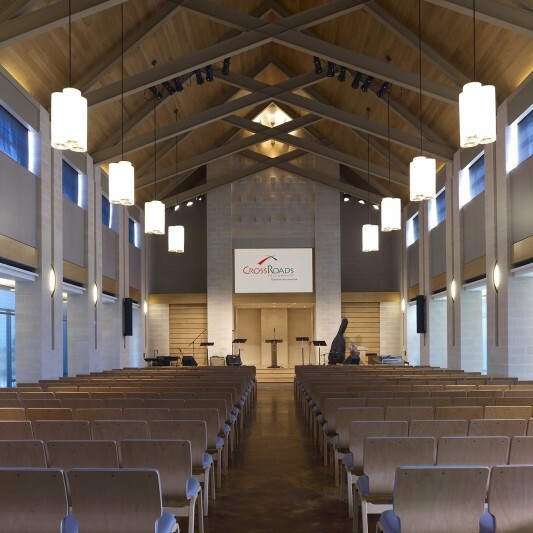 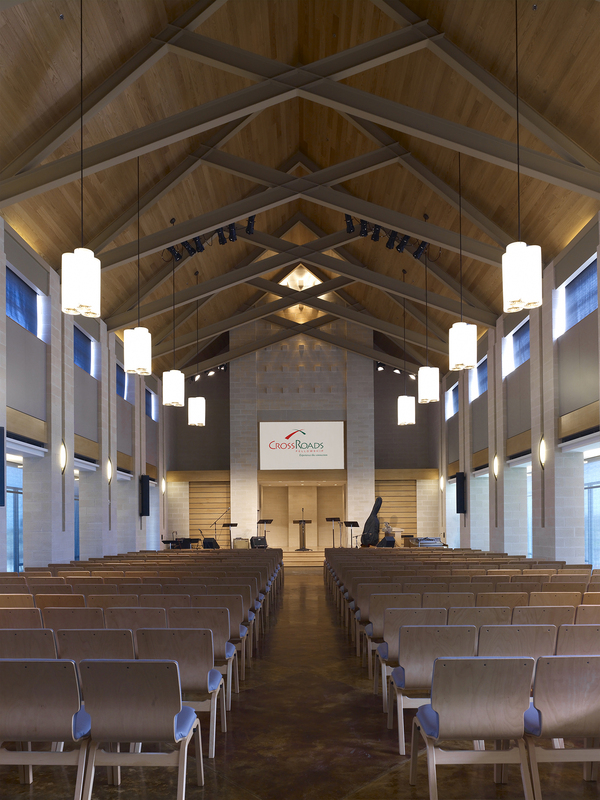 When Crossroads Fellowship (previously known as Temple Baptist Church) decided to relocate and build a new campus, they had a vision to create a place that all generations and backgrounds could find a place to connect. 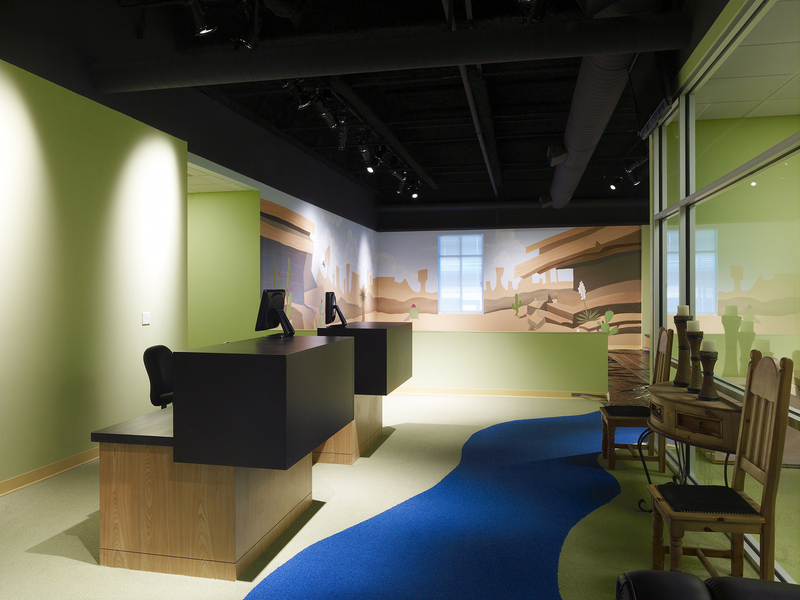 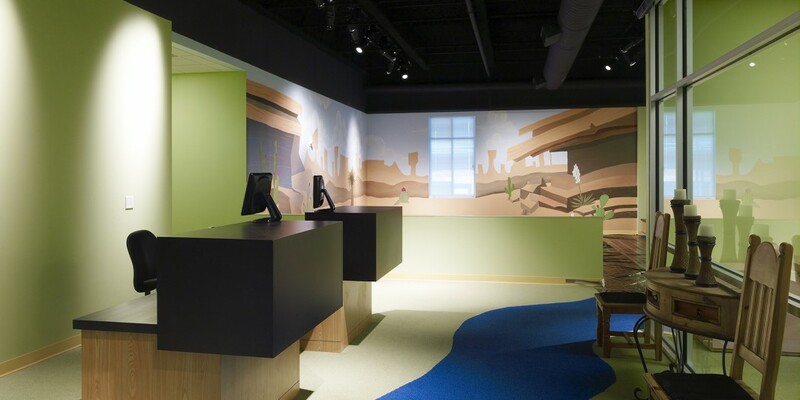 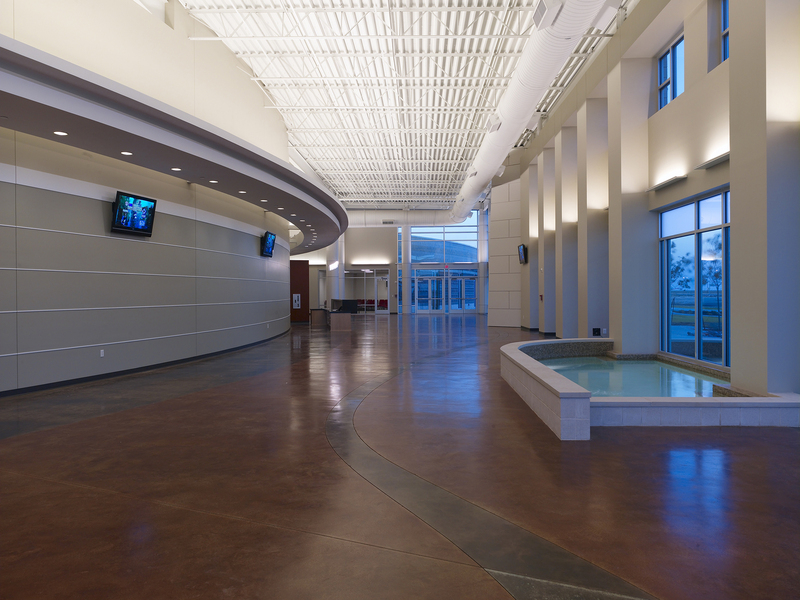 Beck’s design and construction teams made this vision a reality by creating a village where age-group specific ministry spaces for children, students, young adults and senior adults all flow into a sunlit commons space for fellowship and connection, and then into a 1,000-seat worship center for congregational worship. 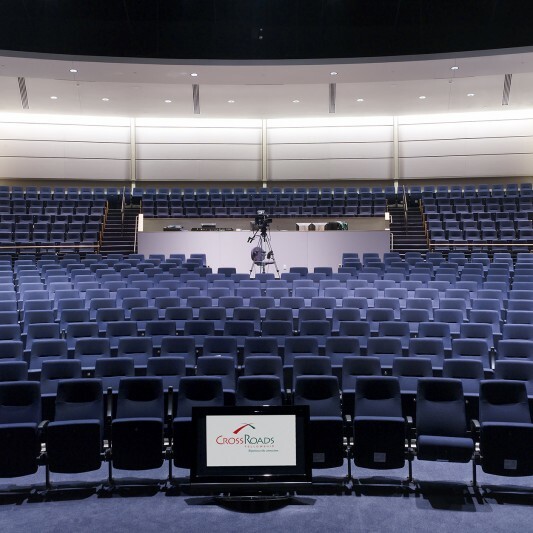 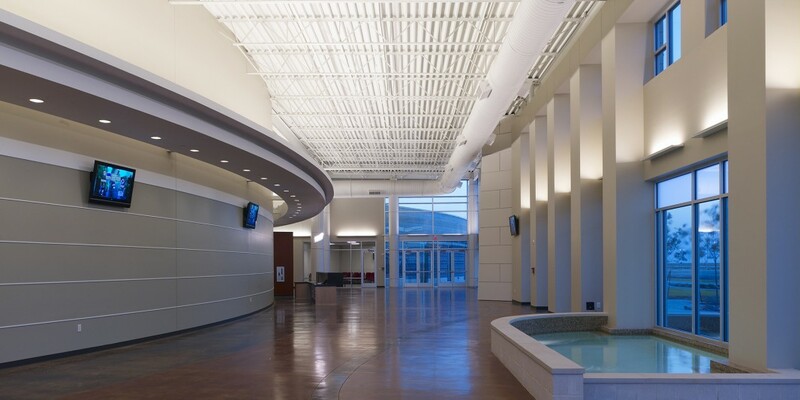 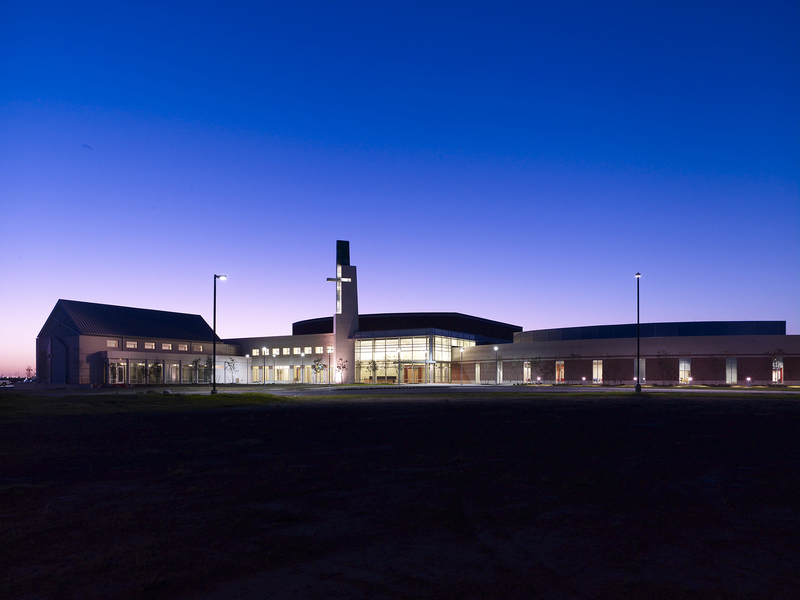 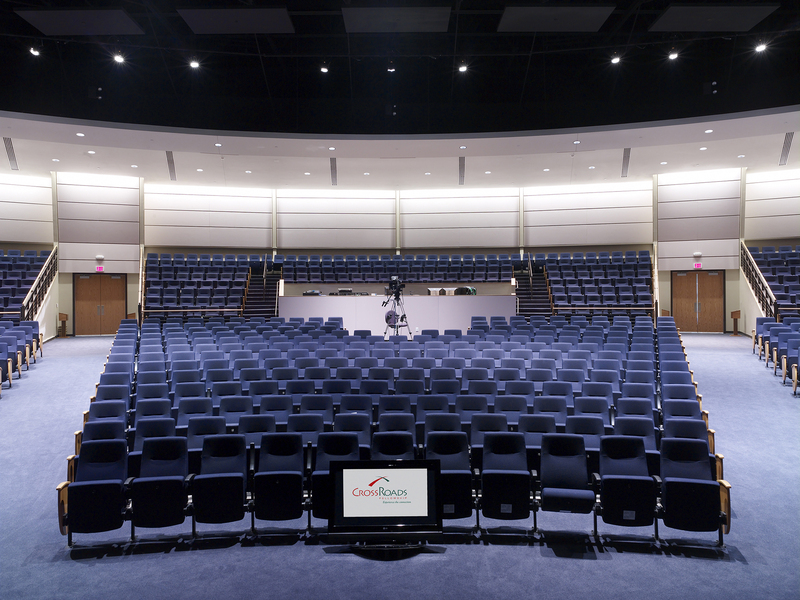 The building includes a 300-seat multipurpose student auditorium, four children’s theaters (ranging in capacity from 50-90), a 200-person capacity dining/fellowship area and a 250-seat chapel.